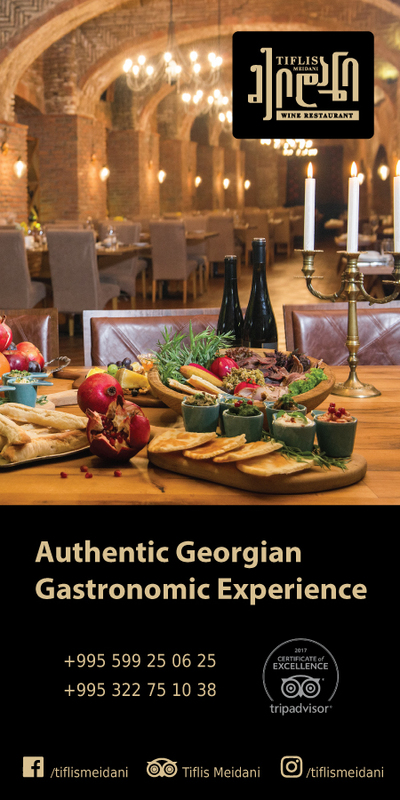 Ancient culinary treasure distinguishes Georgia from other countries, and matsoni, a kind of yoghurt and a lactic acid product, is an honored representative of this culture. 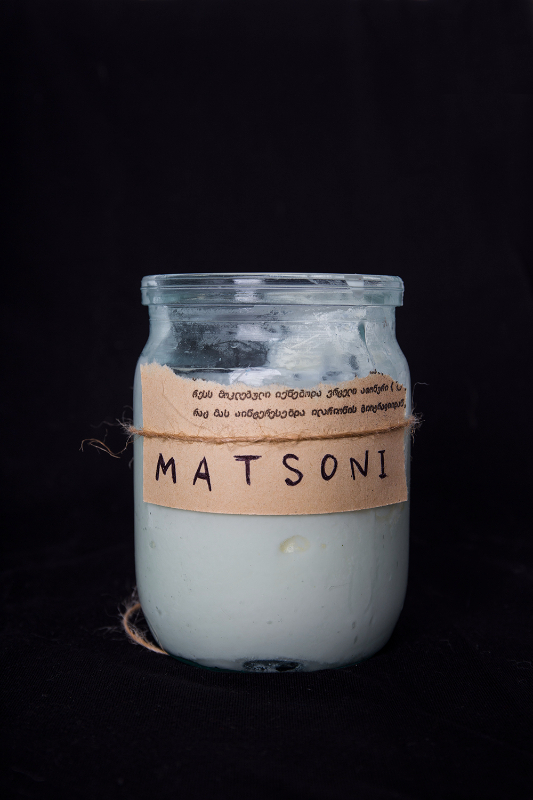 Matsoni is available everywhere from villages to towns, in big markets and bazaars. Matsoni has been produced in Georgia since ancient times and is popular even today. Matsoni is one of the Georgia’s favorite products, is widely used in various Georgian dishes and is full of vitamins. Matsoni was awarded with cultural heritage status and has been granted the appropriate patent. Matsoni is a kind of ‘colleague’ of yoghurt; distinguished from it by its nutritional values and fresh taste. Most yogurts are pasteurized and don’t contain alive lactic acid bacteria. Thus, yogurt is only a tasty dessert and not as healthy as Georgian matsoni. Georgian matsoni is made of cow’s, buffalo’s, goat’s and sheep’s milk. Its preparation is not difficult and takes only several hours. Often, matsoni has a light cover of fat or is fatless. High quality matsoni may have a slightly yellow color. Matsoni is one of the most important foods for village people. 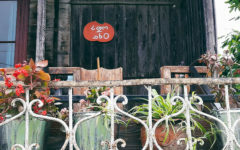 In old districts of Tbilisi, it is still possible to meet matsoni-sellers from nearby villages in the morning, selling their wares in glass jars, though matsoni stored in pots is much tastier. Buffalo matsoni is generally made in clay pots and is regarded as the most delicious. Matsoni is made both in factories and at home. Almost all farmers in villages, who own domestic animals produce matsoni. Natural matsoni is tastier than that made in factories. While traveling through the Georgian regions, don’t forget to ask for homemade matsoni; you will especially enjoy the matsoni varieties from the mountainous regions. Matsoni made in factories is not pasteurized, contains live curdling bacteria and is very good for the health. Several years ago, Japanese researchers became highly interested with the unique composition of this product and took its strain home for further research. Matsoni will help you when struggling with extra kilos, it is good when suffering from hangover, regulates the digestive tract and is rich in vitamin C, potassium, calcium, iron and phosphorus. 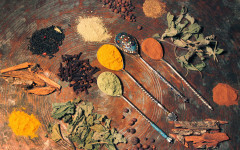 Based on the studies of the Max Planck Society, Georgian matsoni (especially Svanetian) is good for preventing Parkinson’s, Alzheimer’s and heart diseases. Matsoni can be used in cosmetics for improving skin and hair quality. In addition, it is ideal for active people and helps to balance the nervous system and supports good sleep. Matsoni, as a vitaminized food, is also used for feeding babies and young children. 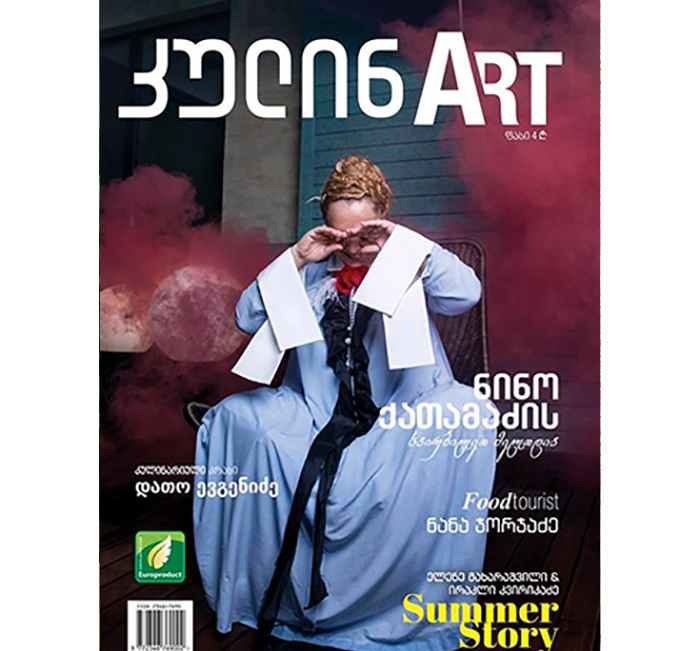 Georgians kept the secret of preparing matsoni for generations, spreading the know-how in the Caucasus from Georgia alone. As for gastronomic delights made of this lactic acid product, you can taste delicious matsoni soup with fennel and coriander, or with a mix of vegetables and fresh garlic. Real extravaganzas are prepared in the Adjara region, such as roasted eggplants or pilaf with matsoni.